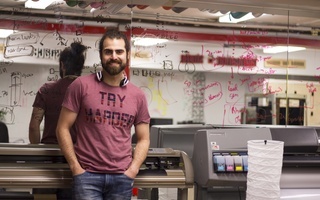 Pablo T. Rasmussen ’20 is a Government concentrator living in Cabot House. He is Director of Outreach and Advocacy for Voters Choose. 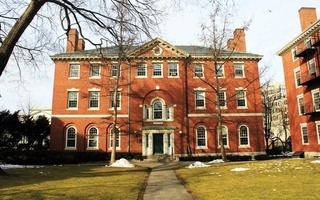 Brandon M. Martinez ’20 is a Government concentrator living in Cabot House. He is President of Voters Choose. Members of the Undergraduate Council voted Sunday to change its voting method in an effort to simplify its election process. 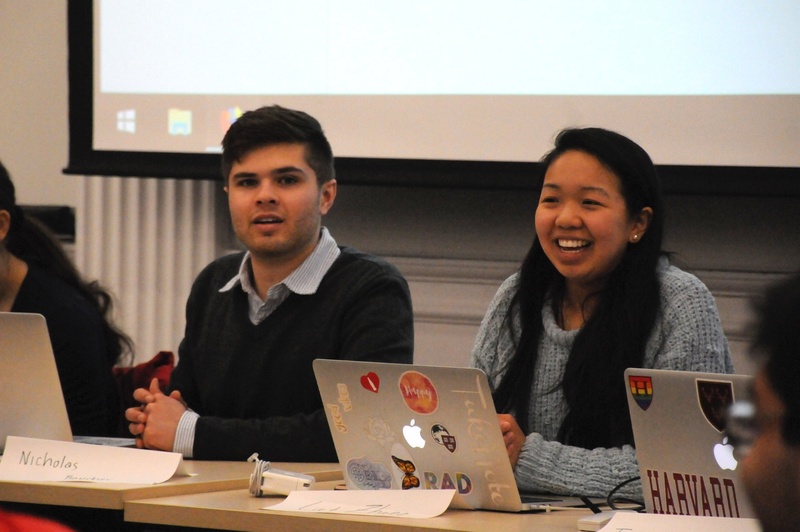 Last Sunday, the Undergraduate Council approved a change in its constitution, shifting away from the Single Transferable Vote, or Hare-Clark, electoral rule to another ranked-choice system called Dowdall Borda Count. It would be a mistake to consider the change as merely clerical, woefully technical, or, worse, inconsequential. Our Undergraduate Council successfully shifted from one of the most progressive but complex electoral systems in place to an even more progressive, yet also elegantly stable and simple system. The Borda Count offers the best chance to translate our often-nuanced preferences into the elected representatives who serve us. Although our previous system allowed us to rank our preferences of candidates, it lost track of our voices as quotas and rounds and transfers obfuscated the results. The Single Transferable Vote was so complex, in fact, that a healthy majority of UC representatives at the meeting acknowledged not knowing exactly how they got elected. Our new Borda Count is much simpler: You rank the candidates you want, and those ranks become point values that are summed to find the winner. First choices receive one point, second choices receive one-half, third choices one-third, and so on. Counting votes is a matter of simple addition, rather than a complex algorithm that can take days to process and verify. By giving us a clear understanding of the process, the Borda Count returns key information and power to the voters. As members of Voters Choose, the group that advocated for the UC constitutional amendment, we promoted the change because we see the need to make voting accessible, understandable, and powerfully representative across college campuses, cities, and communities all across the country. We are constantly reminded by the institutional shortcomings in our own university to represent the wishes of the student body, and even more so our American democracy. The repercussions of a change in the electoral system shouldn’t be limited to better voting on campus, but rather, it should be a call to action for our student body to reform institutions towards systems that acknowledge minority voices, represent the wonderful diversity of our communities, and promote thoughtful decision-making. As the future of our country, we should know we can affect change in the broken rules we see, from our hometowns to our country and world. After all, small victories are stepping stones to larger ones, and we should always continue to build that “more perfect union” at every level. Our next stepping stone is Cambridge. The same catastrophically complex system of elections that the UC just changed is used to elect members of the Cambridge City Council and Cambridge School Board. While the adoption of the Single Transferable Vote decades ago established this city as a policy innovator, it is now abundantly clear that change is needed. Even after more than 15 elections under the system, candidates spend a significant amount of time learning and explaining the system to their potential constituents rather than talking about substantive policies. We can no longer sideline the issues, especially with an already-unwieldy number of candidates for office (often nearing 30). We are suggesting to Cambridge, its City Council, its School Board, and its Electoral Commission to consider adopting Borda Count like Harvard’s own Undergraduate Council. The work we hope to do with our student body and the Cambridge community is to ensure that our systems are not only representative but also accessible to all. We must follow the words of the Dexter Gate as we continue to be citizens, scholars, and young activists: “Depart to better serve thy country and thy kind”. And, we hope you can join the movement to make elections better from the UC to Cambridge to cities and towns across the country. Pablo T. Rasmussen ’20 is a Government concentrator living in Cabot House. He is Director of Outreach and Advocacy for Voters Choose. Brandon M. Martinez ’20 is a Government concentrator living in Cabot House. He is President of Voters Choose. The most radical thing Sanders could do is acknowledge the hard truth that our political system can never be divorced from oppression. Caucuses should go the way of superdelegates—straight to the dustbin of history. ​Election and campaign finance lawyer Jerry H. Goldfeder encouraged the country to remain resilient in light of the Presidential election results at a Law School event on Friday.